I did a little experiment last night. I fiddled with a recipe that my aunt sent me for ‘no bake’ chocolate protein balls. Being the ardent LCHF disciple that I am, I needed to up the fat content of these absolutely awesome treats. I can tell you with confidence, that my experiment worked out VERY well! See below for a printer- friendly version of my recipe. Once I loaded the new recipe into www.MyFitnessPal.com, I was very pleased to see that my ‘fiddling’ gave me a perfect combination of low carb, moderate protein and high fat. These balls are quick and easy to make and require no baking. They just need around 45 minutes in the fridge to set. Those 45 minutes will feel like the longest of your life. You will be drooling with anticipation. People often think that this way of eating is restrictive and no fun at all. This couldn’t be further from the truth. Low carb / high fat eating is utterly delicious and satisfying. The vast array of recipes found free on the internet for treats, baked goods, snacks and meals ensures that you can go weeks without having the same thing twice. …….. and I happen to agree with them. I love knowing that by choosing this approach to eating and nutrition, I am fueling my body in a way that will help me to achieve my weight-loss goals (without feeling hungry or deprived) as well as ensuring a strong immune system and seriously excellent health. People often say to me, “But how much fat do you actually eat?”. My answer is always, “Just enough to satisfy me so that I only have to eat every 5 to 6 hours, without snacking in-between“. Each person has to find the right amount of fat for them. If you eat a LCHF compliant meal but you are hungry 2 hours later, then consider adding a bit more olive oil, butter, coconut oil, avo etc. next time. Try out this recipe this weekend and serve to your family and friends for afternoon tea or a sweet treat after dinner. Click on the link below to access a PDF printer-friendly version of the recipe. Enjoy! 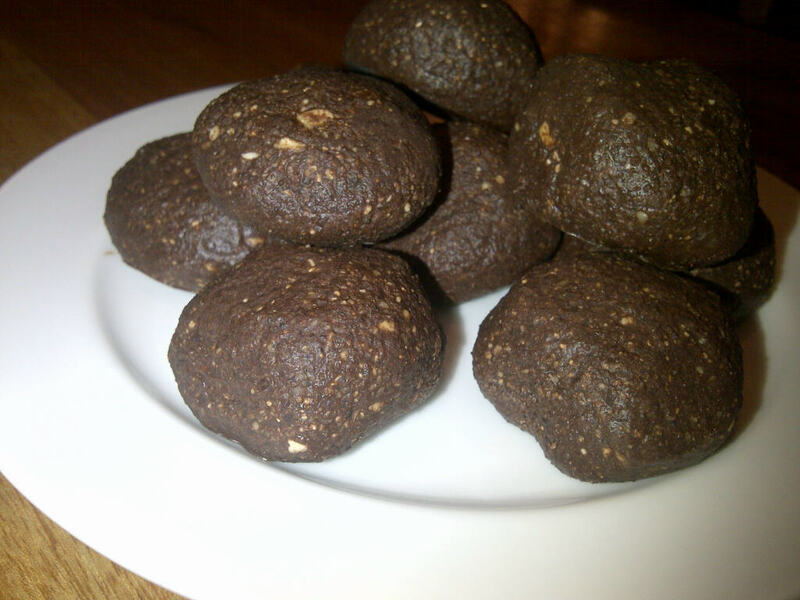 Posted on January 24, 2014, in Meal inspiration, Primal 101 and tagged chocolate almond balls, LCHF treats. Bookmark the permalink. 2 Comments. Where do you buy unflavoured whey protein powder? Which brand do you buy? Hi Cheryl, I buy mine from Sally-Ann Creed at Creed Nutrition. She sources her whey from grass-fed New Zealand cows. You can order through her online shop. Otherwise I think Nature’s Choice has a plain whey product.